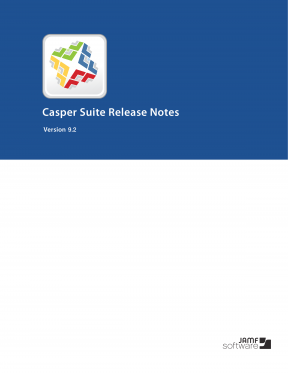 Support for OS X Mavericks (v10.9)—The Casper Suite now includes support for OS X v10.9. Additions to OS X and iOS configuration profiles—New payloads and settings have been added to OS X and iOS configuration profiles. This includes but is not limited to: OS X Per-App VPN payload, OS X Finder payload, and iOS Restrictions settings. FileVault 2 enhancements—Additional options have been added for managing FileVault 2 disk encryption in your environment. This includes new criteria for creating smart groups and advanced searches, the ability to issue a new recovery key to computers, and new options for enabling or disabling users for FileVault 2. See what's new in version 9.2 of the Casper Suite, including new payloads and settings for OS X and iOS configuration profiles, FileVault 2 enhancements, and computer upgrades using the .app file from the Mac App Store.